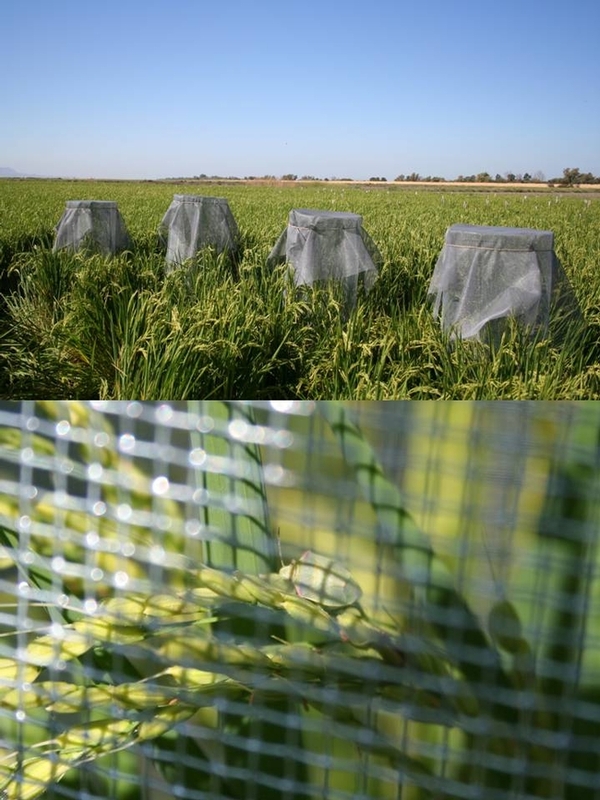 The rice stink bug is not present in California. 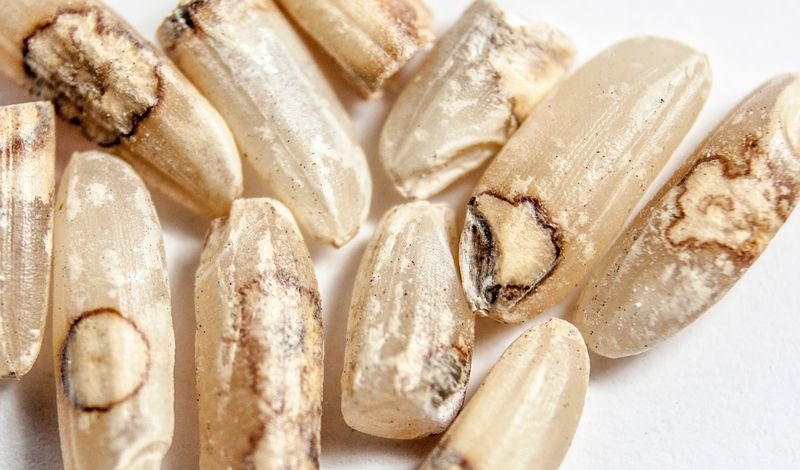 Some of the pecky rice reported from California could be just kernels that have been damaged by water (I suspect that rice that lodges while the field is still flooded is susceptible to discoloration). 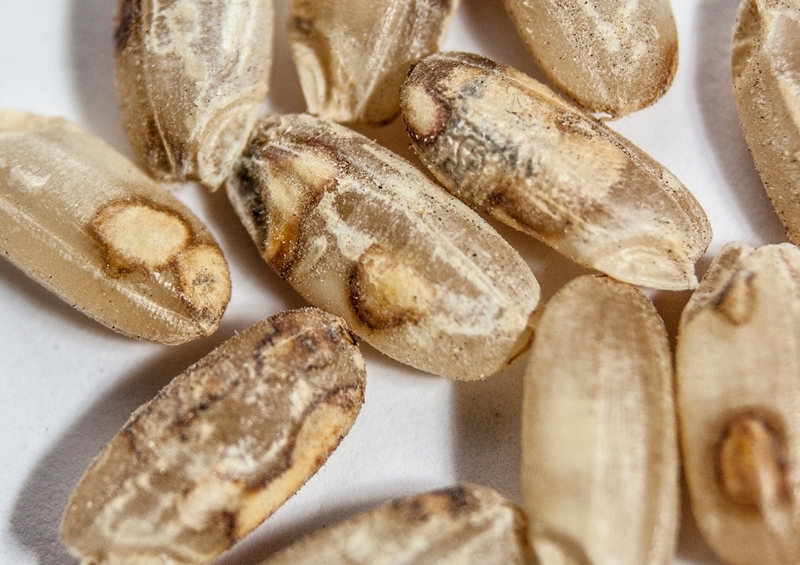 In the end, when making the grade determination, it doesn't matter if the discoloration was caused by insects or water, discolored kernels are all classified as "damaged kernels". We are currently doing some experiments with the redshouldered stink bug. We collected some of these bugs from weeds and infested panicle and whole plant cages. 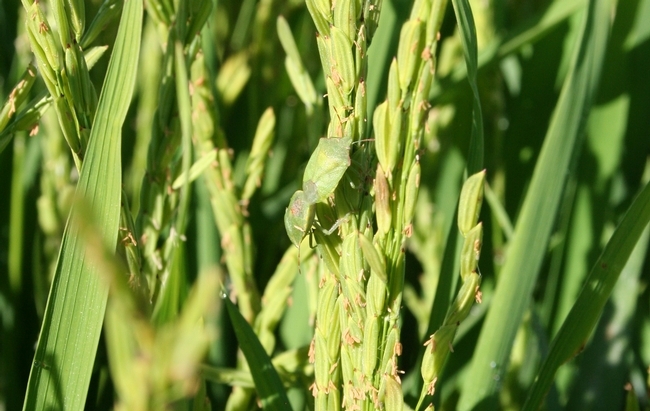 So far, it seems that these bugs can feed and survive on rice. 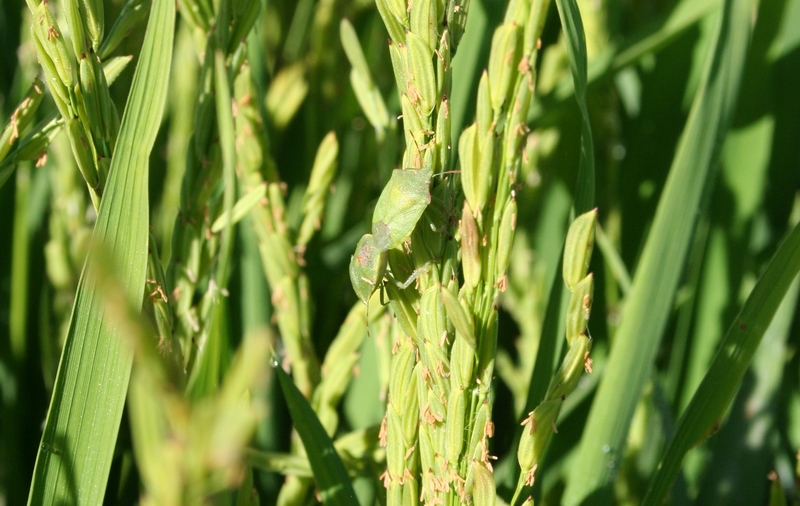 After harvest we will be able to tell if the redshouldered stink bug is capable of causing peck. I will update after harvest. 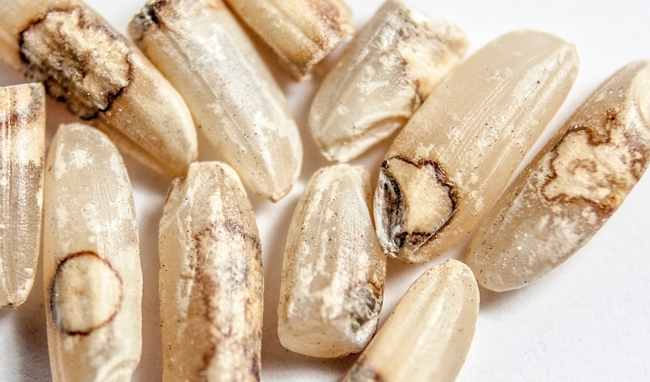 In the meantime, if your rice is graded No. 2, and peck or damaged kernels seem to be the reason, let me know (laespino@ucanr.edu; 530-635-6234).